Am I too old to wear a bucket hat? I want one. I love the red/red riding hood combo. Brilliant. Is the red fabric Kona? The photo of little B’s blue eyes under the brim is great. Bucket hats are for everyone. 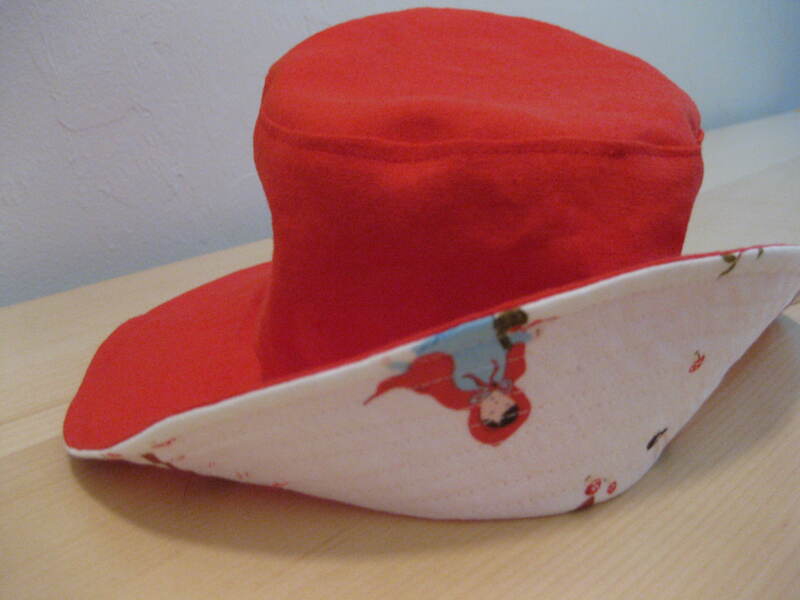 The red fabric is Robert Kauffman Essex, which is a cotton linen blend. It has some weight to it–I bought it for a skirt, so am making that next. 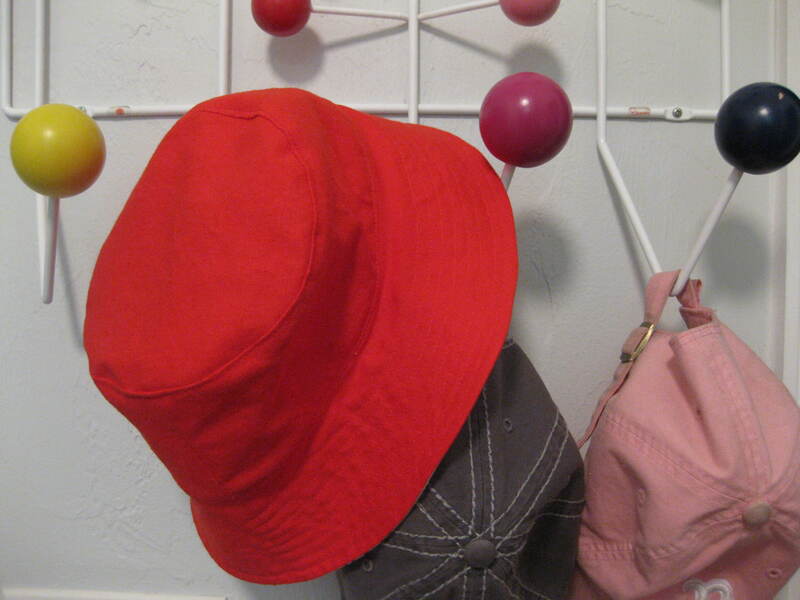 I am going to try and increase the size of the bucket hat pattern. If I’m successful you’ll have to let me know what color you would like!